What do you have the power to do? 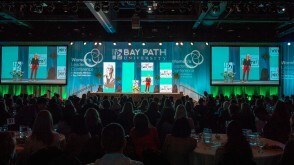 This is the question that Margot Stern and Yael Schuster, co-founders of the Israel base STEM edutainment company StellarNova asked an audience of over 1,700 women in attendance at Bay Path University’s 24th Women’s Leadership Conference. 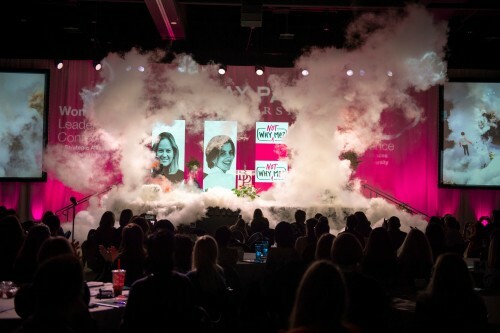 Stern and Schuster, who just moments before had started the conference off with a literal explosion of energy by engulfing the stage in a cloud of fog from a live science experiment, set the mood for the rest of the day, urging attendees to lean into the conference’s theme of “Why Not Me?” and asking to reimagine their boundaries and limits, while also reimagining the notion that they can (and have to) do it alone. 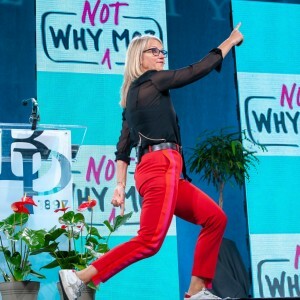 Author and motivational speaker Mel Robbins continued the “Why Not Me?” conversation, challenging women to stop talking themselves out of their dreams and telling themselves they’re not good enough for or worthy of what they want out of life. Robbins shared her well-known “5 Second Rule”, sharing with the audience how she used it to change her life, one micro decision at a time. “If you have an instinct to act on a goal, you must physically move within 5 seconds or your brain will kill it,” Robbins stated. When faced with the “Why Not Me?” statement, the implication was simple. Either decide in those five seconds that it can be you and take action, or your brain will decide otherwise. EGOT winner Rita Moreno wrapped up the event, sharing snippets of her life story, including her immigration from Puerto Rico to America, her early acting career, and the discrimination that has followed her as a Latina actor. 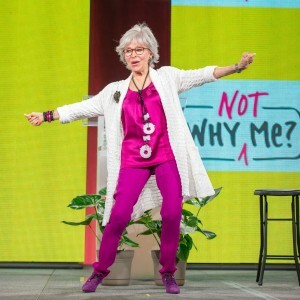 First appearing on the Women’s Leadership Conference stage 18 years ago, Moreno was a crowd favorite, dancing her way through the animated retelling of some of the more impactful events of her life. “Let’s stop with the ‘why me’, and instead, ‘yeah, me!’” proclaimed Schuster from the stage, and the crowd erupted in cheers.